Malaysia Convention & Exhibition Bureau (MyCEB) has officially launched and will directly target the C&I market in 2010 as part of an effort to become a leading meeting and incentive destination in Asia. MyCEB CEO Zulkelfi Sharif said at a press conference at EIBTM in Barcelona today that he now has a team in place and that a key focus of the bureau would be taking part in bids to attract major events to Malaysia. Sharif previously headed up the convention division at Tourism Malaysia but moved over to set up MyCEB following the announcement of the initiative in December 2008. "Previously we were more marketing-oriented but setting up a dedicated bureau will enable us to focus on more targeted sales and bringing business into Malaysia," said Sharif. 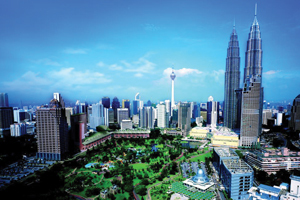 MyCEB will work closely with consulting firm Gary Grimmer & Company, and local suppliers such as the Kuala Lumpur Convention Centre (KLCC), to attract association and corporate events from Asia, Europe and the US.